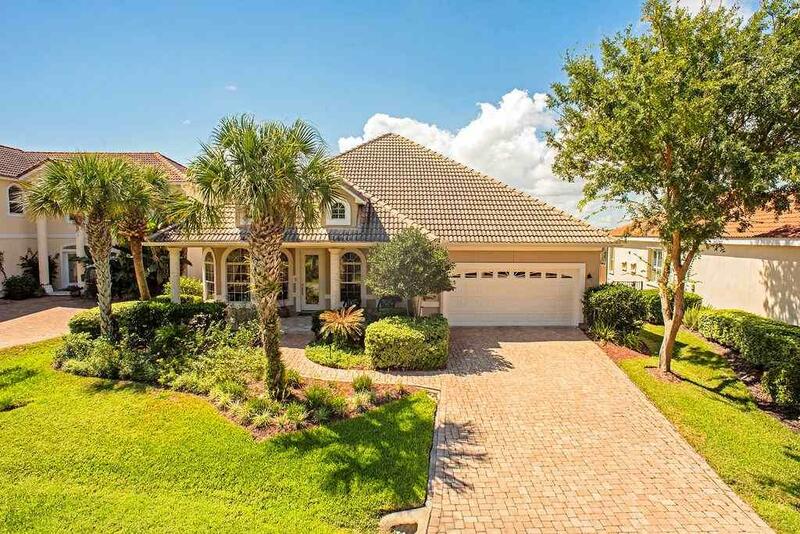 Intracoastal views await you in this ICI built home. 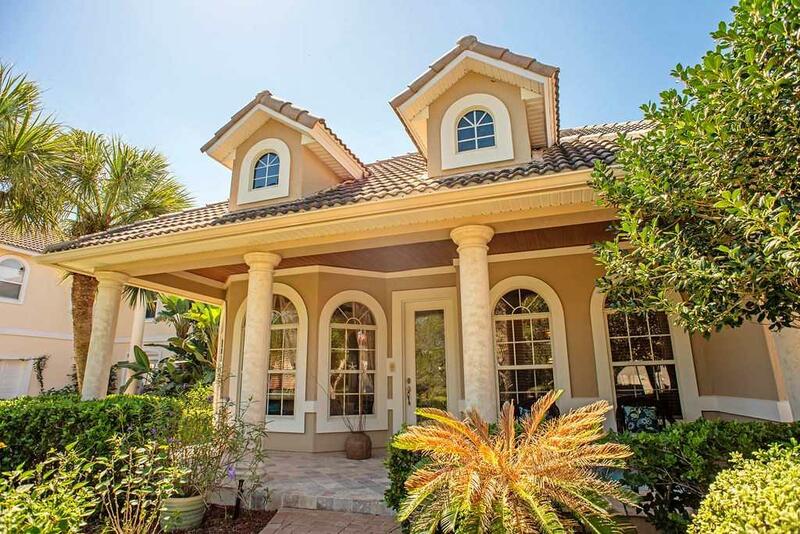 Barrel tile roof, natural landscaping, and paver driveway all add to the Spanish influenced construction perfectly suited for our amazing city. 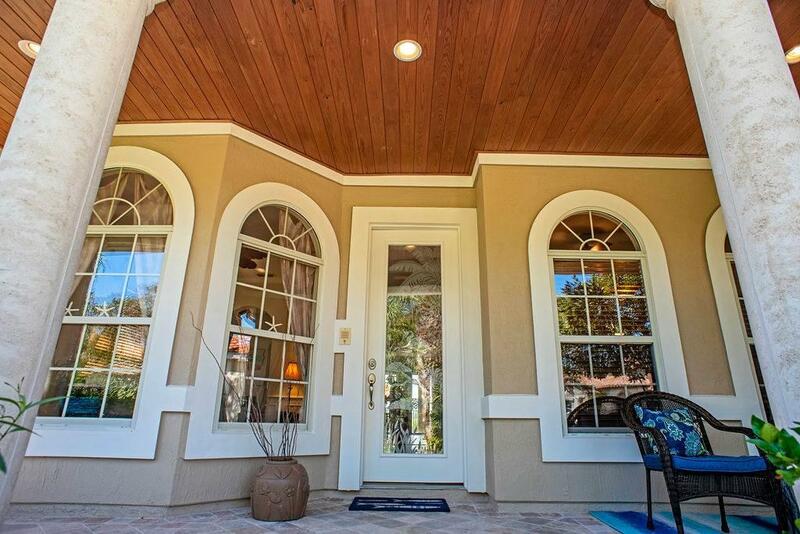 Entering the etched glass front door, you are wowed by instant view of pool and intracoastal marsh. The 3rd bedroom/ study with French doors and the formal living room are immediately off the entry all boasting crown moldings. Continuing down the entry is the living area and open kitchen. Trayed ceilings, and architectural arches in living room add to the unique design features of the home and the gas fireplace is the perfect ambiance for the winter nights. ButlerÃ¢â‚¬â„¢s pantry off the kitchen, with gas range adds to the kitchens functionality. Master suite with beautiful bay window and plantation shutters overlooking the marsh. Opposite of the master off the living room is a full guest bath and 2nd bedroom. The sliding glass doors of the living room lead you into the outdoor living space with pool and hot tub. Airconditioned half bath/changing room off the pool area outside. Plumbing and gas lines have been run if you wanted to build that outdoor kitchen to take full advantage of our beautiful Florida weather. Staircase in living room takes you to the ultimate entertaining room or 4th bedroom with full bath, wet bar, gas fireplace, and balcony. Views that are just amazing. 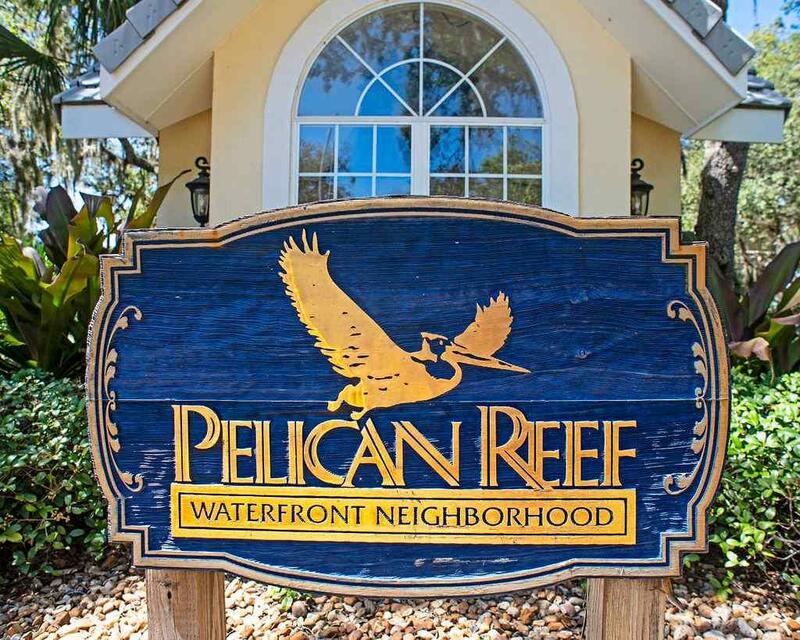 If you are a boater either 24 or 32 foot slips can be purchased now in the community truly giving you everything Florida living has to offer with this home.